Bottled in China brings you into Asia's food and drink scene through conversations with the some of the most happening personalities. 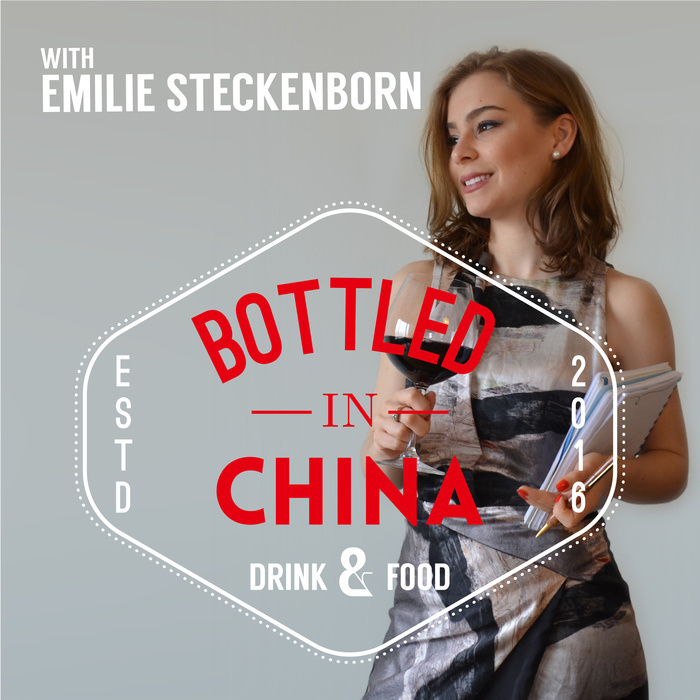 Hosted by Emilie Steckenborn, the show is your one spot for all things food, beer, wine and spirits from across the world. A messy problem with a green solution. In today's podcast we sit down with CEO of MotionEco, Shu Tong about how his company sources used cooking oil in China and converts into biodiesel. This is the core issue: China has lots of food waste. It includes massive amounts of used cooking oil. The oil is often collected illegally and traded unethically, sometimes returning to the restaurants through a shady black market. MotionEco offers a legal, ethical and sustainable alternative to waste cooking oil management. Today, we sit down to discuss the efficiency of biofuel, how MotionEco is looking to disrupted the local biodiesel market and its future in China. In today's episode we sit down with Lewis Harding, CEO of Coffee Exchange to discuss one of our favorite beverages, coffee. Coffee Exchange is a marketplace that connects, often isolated producers, with eager buyers and roasters in China. Currently based in Shanghai, Lewis spent 10 years in finance and entrepreneurship before finding his true calling in his morning cup. In this podcast we discuss how Coffee Exchange all got started and what the Chinese coffee scene is really like. Today we sit down with Bob Betz, Master of Wine, Consulting Winemaker and Founder of Betz Family Winery to discuss his journey and Washington State wines. Bob has played A leading role in Washington's wine industry for the last+ 40 vintages. In this episode we find out what makes Washington a unique wine region and what makes it different from Cali wines. Watch out everyone, Port is no longer for your grandparent’s generation. Listen in to learn how Port is being embarked and reborn in Asia as the best value for your money. This sweet and rich fortified wine from Portugal is driving unprecedented growth in Asia. Today we sit down with Jorge Nunes the APAC Market Manager for Symington Family Estates to discuss everything about Port! We dive into its traditional production method, how to properly enjoy a glass and what’s the market like in APAC. Food waste is a heated topic around the world but particularly in China. We always hear stories about illegally sold restaurant waste reused for it's cooking oil or thousands of tons of food scraps wasted each day in big cities like Shanghai and Beijing. But what is actually happening in the food recycling ecosystem in China? In today’s podcast we sit down with June Zhang to discuss her findings about what’s actually happening in China’s recycling system. Champagne is a growing category around the world, but do we see the same trend in China? In this episode we explore the current situation of Champagne in China with Edouard Duval, CEO of East Meets West Fine Wines (EMW). After 15 years of running a successful beverage distribution business in China, Edouard Duval joins us to discuss how it all got started. EMW is one of the leading fine wine distributors in Greater China focused on family owned wineries. Growing up in the business and part of the Duval-Leroy Champagne house, Edouard shares some insight into the Champagne industry. Decanter Wine Magazine is one of the leading wine publications focused on lifestyle, industry insights, regional profiles and authoritative wine reviews. Founded in 1975, Decanter is the oldest wine publication in circulation in the UK. Today, Decanter grows its footprint around the world with its widely anticipated yearly consumer tasting and masterclasses during the Shanghai Fine Wine Encounter. In this podcast we're joined with award winning wine writer and Content Director at Decanter Magazine, John Stimpfig. We sit down to discuss everything from their Shanghai events, Chinese wines in the UK, global warming and even some tips on where to start if you want to become a wine writer. Elyse Lambert MS is one of the most respected female sommeliers in the world. Based in Montreal, Quebec, she earned the title of Master Sommelier in 2015. Elyse has her own radio program on Radio Canada, winner of numerous sommelier competitions across the world and is a featured wine columnist in various publications. There’s certainly no slowing down for her. Does Canada only produce Icewine? Recognized for its cold winters and cool climate wines, we discuss where this young winemaking country is headed. Today, we speak with Niagara based boutique wine producer Jakub Lipinski of Big Head Wines about the diversity of Canadian wines. In this episode we talk about the founding and development of Canadian wines in the international scene. We discover how Big Head wines got it's start and how it makes excellent wine from a place not often thought of in the international stage. If exploring great wines around the world is your passion check out this podcast. Enjoy! Frank Steffen is known as the pioneer of the vegetarian movement in Shanghai. Over eight years ago he founded Pure & Whole, formally Kush, and has since opened up several restaurants focused on plant based dishes. In this episode, we discuss how he picked himself up from one of the lowest points of his life through healthy eating, meditation, yoga and self help groups. Today, he has expanded wholesome living beyond food to coaching and improving the lives of others. China is Chile's largest market for wine, through 2016-2017, overall imports into China grew 26%. Today, we sit down with the the Director of Wines of Chile Asia, Julio Alonso, to discuss the Wines of Chile strategy to entering the market. In this podcast we look at how Chile is recognized as the land of innovation, sustainability, purity and diversity. We also discuss what makes Chile different to other wine producing regions through the lens of poetry, food pairing, and art.